2012 looks to be the year of the Ultra Books. In the same vein as the lightweight Apple Macbook Air, all PC manufacturers have something new to offer. Apple alone have increased sales of their Macbook Air (UltraBook) by some 40% in the last 3 months and the PC suppliers are looking to capitalise on this explosion of this new market sector. Briefly a laptop can be qualified as an Ultrabook if it weighs less than 1.4Kgs has an SSD drive and uses the new lower power Intels CPUs that allow longer battery life…..
Whilst normally quite expensive using our Hardsoft Flexi lease you can obtain an Apple Macbook Air 11” with Core i5 1.6GHz CPU, 64GB SSD and 2GB Ram from only £ 7.70 a week and the Toshiba Portege Z830 13” with Core i5-2557M CPU, 128GB SSD, 4GB Ram for only £ 10.95 a week; the stunning looking Samsung Series 9 900X3A is a Core i5-2467M machine with a 13.3” LED and 4GB ram, weighing only XXXX this is available on a Flexi Lease for £ 10.80 a week. 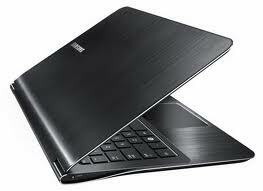 Other Ultrabooks available to lease include the Lenovo Ideapad –with i7 CPU and the Asus Zenbook which was recently featured on ‘The Gadget Show’. Others from Sony and HP are Coming Soon.. If you don’t want something as small and light and need greater power and screen size then HardSoft can lease you various 14” and 15” laptops……….and even larger 17” laptops with greater power and full connectivity into your network. In this market the best spec and price is from Hewlett Packard offering the Probook 4730s an Intel Core i5-2450M with 640GB HDD, 4GB Ram and 1GB ATi Radeon HD 6470m Graphics Card for only £ 6.30 a week. HardSoft have larger screen laptops from Acer, Sony and Toshiba. The Apple Macbook Pro 17” Quad Core i7 2.4GHz is very popular with designers and starts at £ 17.90. Hardsoft offer all levels of laptops to suit your needs from Apple, HP, Samsung, Sony and Toshiba; packaged on a tax efficient Flexi Lease scheme means you can get the machine of your choice for only one months outlay. Leasing includes three years warranty and there are options for insurance against damage and theft. Call us now to explore which machine is best for you.